Practical kitchen partner that is stylish, simple to operate, practical to use, easy to clean and time saving. 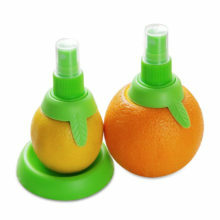 1.Now you have this Citrus Sprayers Set, you can keep one of each in your fridge at all times. You are able to spritz just the right amount of juice on your salad, return the fruit to fridge and use it again later on you avocado. No waste. 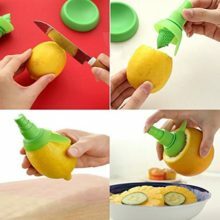 2.Works great if you plan to use it as a topping for a food item as it gives a very nice distribution of citrus juice when sprayed. 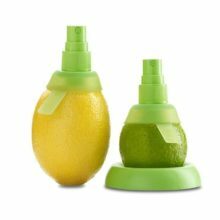 3.With this kitchen gadget, Flavor your drinks; season your salads, seafood or other recipes with a light mist of fresh citrus. 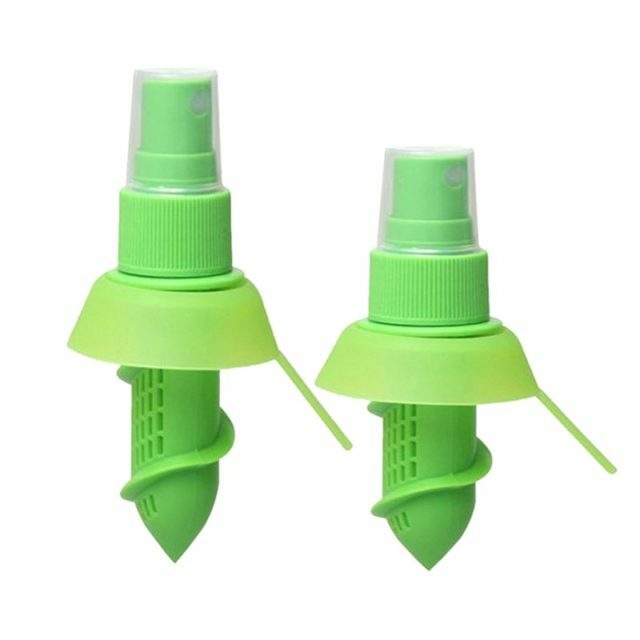 4.Simply cut a small piece of the peel off the fruit that is slightly off center from the stem, screw the pointed threaded end down into the fruit, squeeze the fruit gently to fill the sprayers filter and press the sprayer head to release the mist of juice. 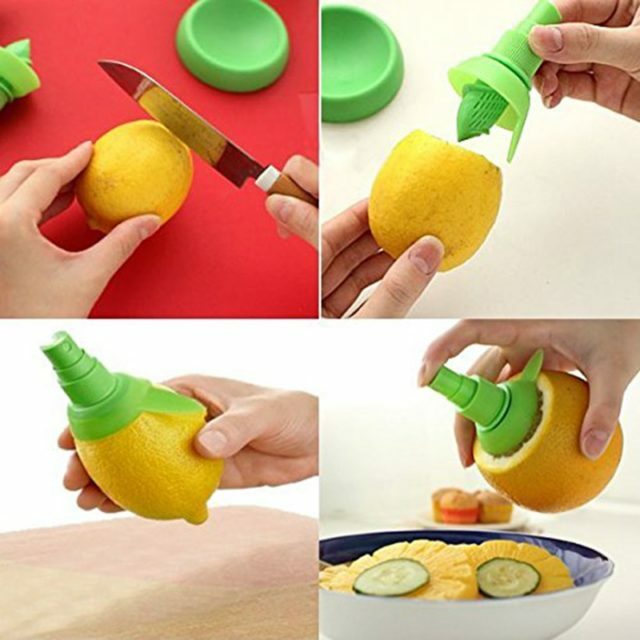 5.Love this lemon sprayer! 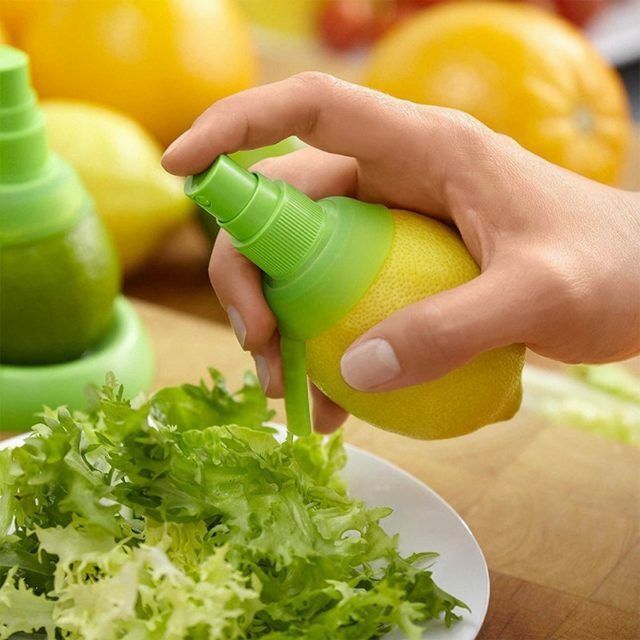 Awesome kitchen gadget set comes with 2 sprayers, 1 for lemons & 1 for limes. Highly recommend. 1.Cut the top of the lemon peel,exposing the lemon meat. 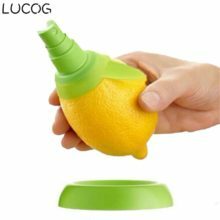 2.Insert the tip of the lemon sprayer and rotate it,press the button,and the fresh lemon juice can be sprayed. 1.The citrus sprayer is dishwasher safe, however, it is important to wash it thoroughly to remove all pulp from both the filter and sprayer as this could impair proper functioning of the citrus sprayer. 2.It’s good to drink the extracted juice ASAP. Before juicing, please cut fruit and veggies into proper portions. 3.please do not scratch the surface with abrasive powder or metal ball. 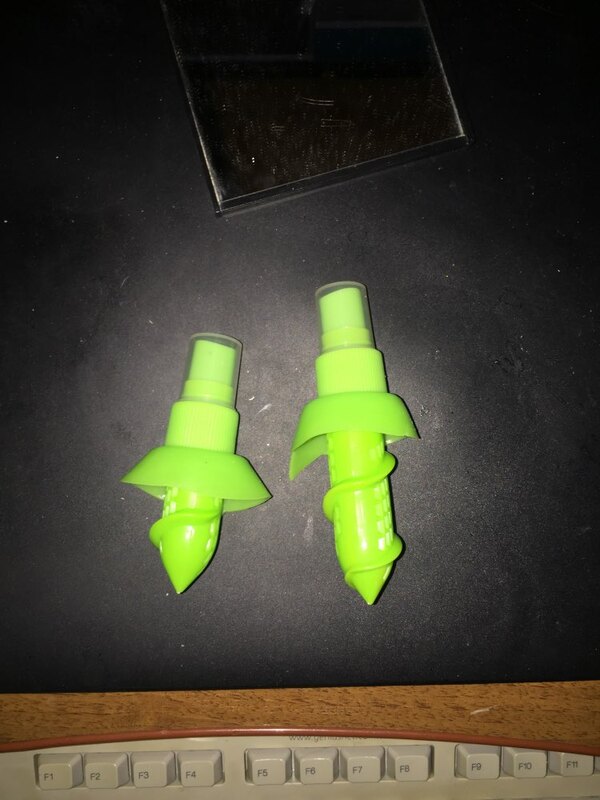 product looks ok. haven't use it yet. 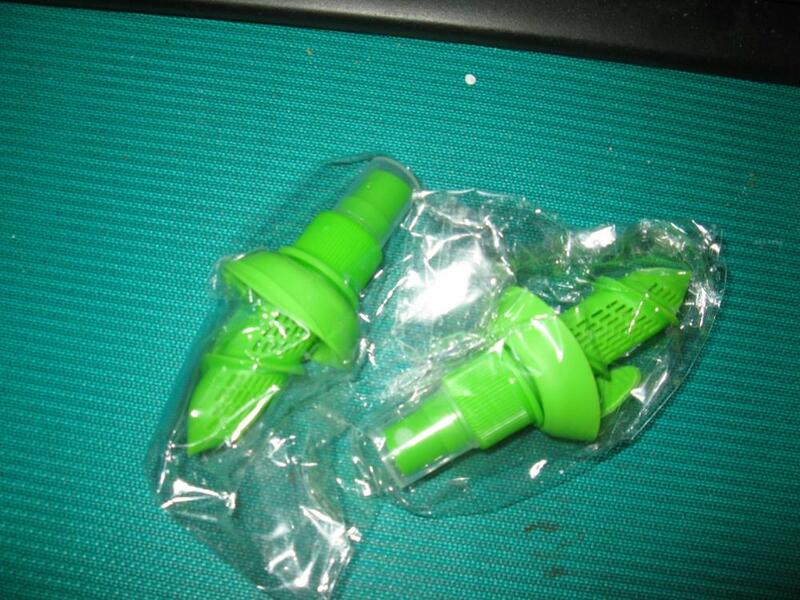 Excellent product recommend to everyone!!! 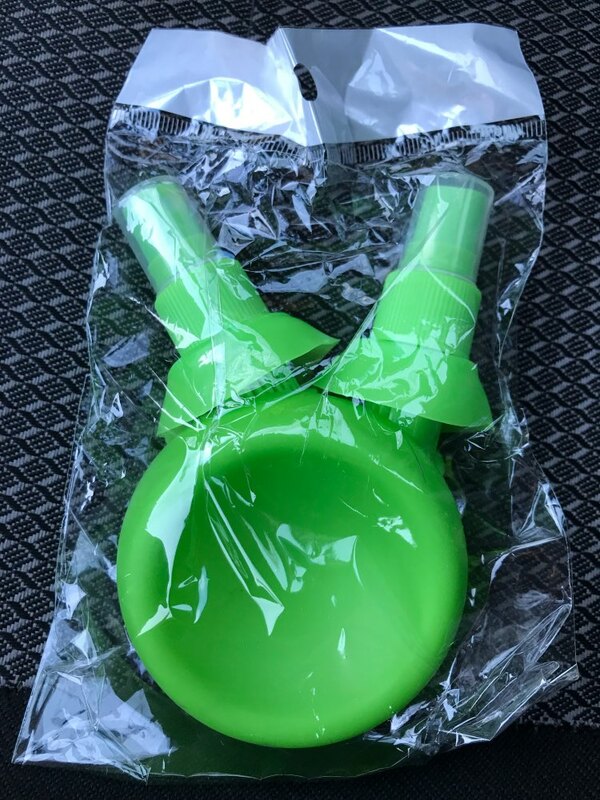 Thanks to a quality product in the product description. Everything is fine! Thank you. Big! Everything is cool. 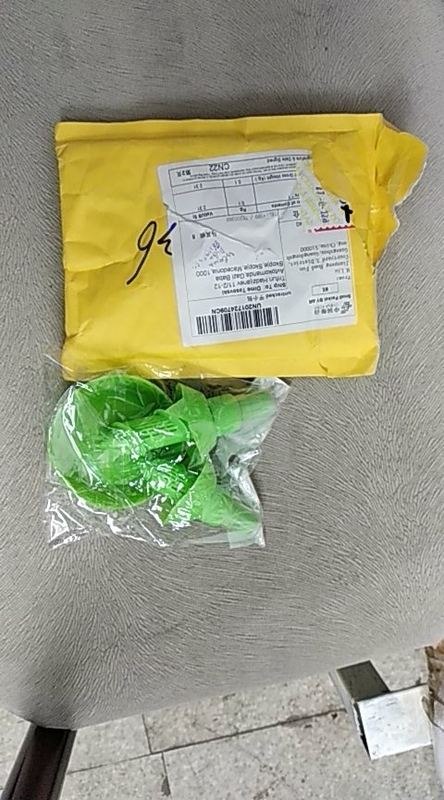 it came pretty quickly.